As a young boy I remember movies and TV shows that portrayed moonshine as strong, harsh-tasting, homemade booze made by shotgun-carrying hillbillies using rusty cans, pipes and car parts. The finished product, if not confiscated by the law, was bottled in mason jars or ceramic jugs. If you drank too much, you might go blind, crazy or worse. In 2008, Washington Governor Christine Gregoire signed legislation that allowed small distilleries to legally produce small quantities of liquor. For the cost of a $100 permit, anyone could open a distillery business. The main requirement was that 51% of the ingredients had to come from within the state. Another key aspect of the legislation permitted the distilleries to sell directly to consumers, which is critical for small producers who typically struggle to attract distributors to carry their products. Washington is now home to over 80 craft distilleries—the most in the United States. 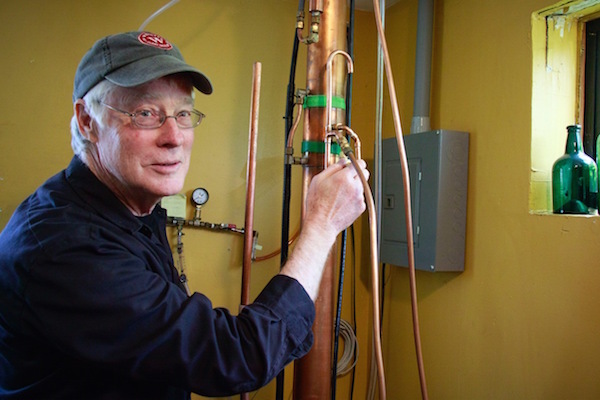 Whidbey Island is fortunate to be the home of the award-winning Whidbey Island Distillery—a local Langley treasure started in 2009 by Steve & Beverly Heising. They currently produce blackberry, loganberry and raspberry liqueurs. The loganberry liqueur was awarded a gold medal in 2013 by the Beverage Tasting Institute. “The award-winning loganberry is the most popular, since it was their first product and uses fruit grown on Whidbey Island,” said General Manager Mike Huffman. 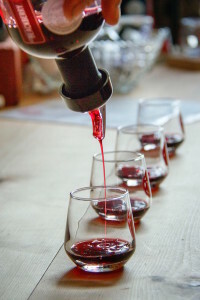 “The blackberry liqueur is catching up to the loganberry,” he added, “especially since it received a 98 point score this year from the Beverage Testing Institute, making it the highest-scoring liqueur in the United States. Unlike some craft distilleries that don’t distill their own alcohol, Whidbey Island Distillery is committed to producing a truly handcrafted product from start to finish. “Most craft distillers use a traditional ‘pot still’ that doesn’t produce as pure an alcohol as [our] computer-controlled continuous still,” Huffman pointed out, proudly. 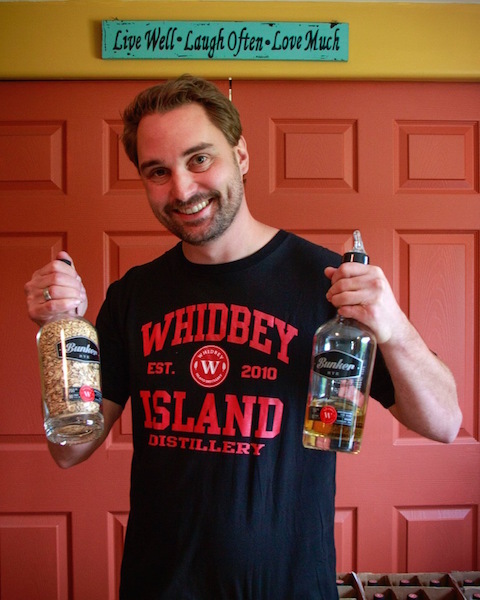 Whidbey Island Distillery is able to distill a 95% pure odorless and tasteless alcohol base, which is then used to produce their liqueurs. The distillation process begins with the purchase of locally produced red or white wines that are taken through a temperature-controlled process that separates out the alcohol vapors. Half of the initial distillate is given back to the wineries as grape brandy for their use in making port. 150 gallons of wine is distilled—over 10 days of constant monitoring—into 15 gallons of 190 proof ethanol alcohol (aka moonshine). The high degree of purity is critical to producing a high-quality finished product. “The heart of the process,” Huffman said, “begins when the neutral-tasting alcohol is combined with 200 pounds of fruit and marinates for three months.” This allows the entire fruit flavor to permeate the alcohol. The mixture is then run through a press to separate the berry-infused liquid from the skin and seeds and a simple syrup of sugar and water is added. The amount of sugar varies from batch to batch, depending on the natural sweetness of the fruit. “This enables the distillery to produce a consistent tasting product from batch to batch,” Huffman said. The finished product is reduced to 46 proof (23% alcohol) through the introduction of the water in the simple syrup. After aging an additional three to four months to allow the flavors to blend—and one more, final filtration—the liqueur is ready for bottling. 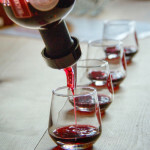 Each batch produces 400 bottles, with approximately a half-pound of fruit in each bottle, producing an intense naturally flavored fruit liqueur. And if producing fruit liqueurs isn’t enough to keep them busy, the Heisings have started a second project. They’re in the early stages of producing a small-batch whiskey made from a blend of rye and barley. Unlike the fruit liqueurs, the whiskey is being distilled at 145 proof in order to incorporate the flavors of grain mash in the end product. They have done a few sample pre-releases to get feedback from customers and the response has been positive. The flagship batch of 90 proof Bunker Rye whiskey should be released later this summer after it completes its two years of aging in toasted American white oak barrels. They expect it to sell out quickly. Far from the back woods of Appalachia, Whidbey Island Distillery is a destination worth seeking out to experience the art of craft distilling. This ain’t the moonshine your pappy drank. 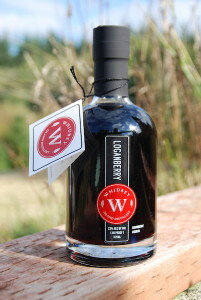 For more info, visit http://whidbeydistillery.com. Steve Kilisky has lived on Whidbey Island since 2008. When not satisfying his insatiable thirst for wine, he spends his working hours delighting customers of Adobe software. He is in the process of completing the Wine Business Management Certificate Program at Sonoma State University and sharing his thoughts and musings on the art, science and business of wine on his blog: https://winingonwhidbey.wordpress.com.